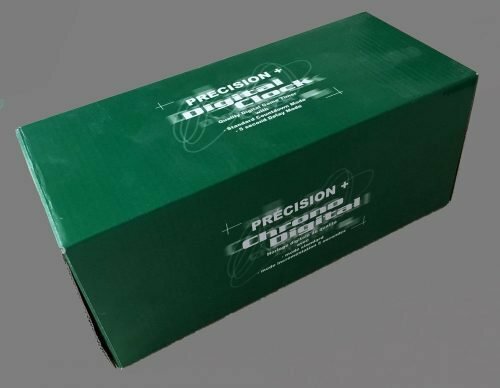 Precision Plus Digital Chess Clock. Offered here is a Precision Plus Digital Chess Clock. It is fully programmable The green plastic case measures 8-7/8″ x 3-1/2″ x 3″ tall. 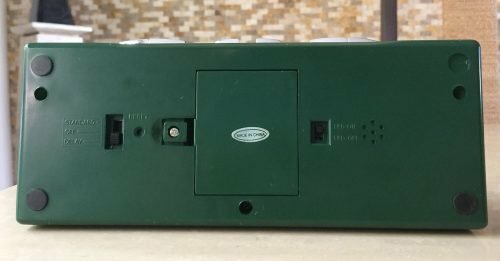 The chess timer uses three AA batteries. The clock is new and comes with its original box and instruction booklet. The clock is made in China. 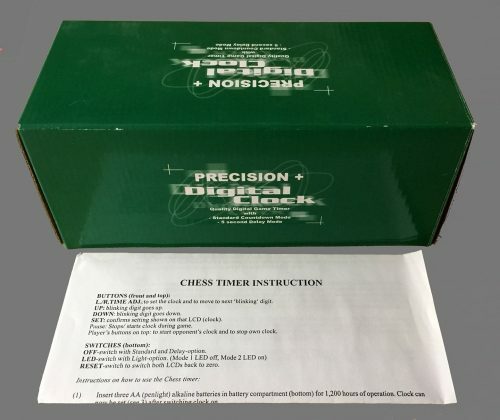 There are two version of the Precision Plus Digital Chess Clock. The black model does not have a delay mode available, the green, as this one, does. To put the clock into delay mode go to the bottom of the clock, put the switch from “off” to “delay” and insert a pen-point or paperclip into the “reset” hole. To return to standard mode do the same thing with the switch on “standard”. All times are set independently for each side of the clock buy pressing “right” or “left” and “up” or “down”. First set the time of delay as seconds, then the time control. 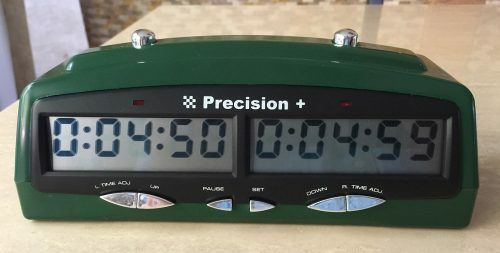 This clock has only one pre-programmed time control. Additional time may be set manually at the end of the first time control or you may set the clock initially with the entire (total) time for the game. 40/2, G/1 would be set as G/3. The clock has no move counter.